Cargo and equipment to the value of billions of Rands are transported across South Africa daily. The fleet management and logistics industries are focused on managing this in a cost effective and safe manner and use state of the art technology to perform these functions. This technology is known as “Vehicle Telematics”. In this section we would like to focus on the benefits of vehicle telematics for accident investigation and road safety. We would like to do this by sharing our discussions with the telematics experts from Ctrack Fleet Management and by reflecting on an actual example. On the Arrive Alive website we have emphasized the importance of proper accident investigation in the efforts to reduce road crashes. What is a “proper” or effective investigation? Human Element – What were the Human factors that were present in the incident? Environmental – What weather, temperature, visibility or other elements were present at the time of the incident? Mechanical – What vehicle design, engineering, operational or maintenance factors are present? Engineering – What road, structure or physical design elements are present? Law enforcement – What law enforcement element is present or absent from the location? Corporate – What elements of corporate governance, policy or procedure is in place? Impact – What impact will this incident have on any of the other elements considered? The accident investigator plays a very important role in the process of investigation and reporting on the contributing factors to an accident. His report is important to the police services, traffic enforcement, vehicle owners and insurance companies. The accident investigator uses a wide variety of tools at the accident scene. But can vehicle technology assist the investigator and fleet manager in establishing the causes of the accident? 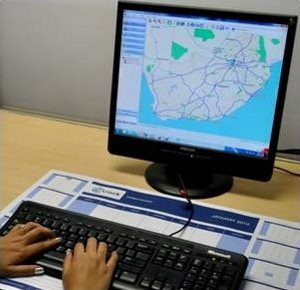 The process of investigation is now also aided by the availability of technology and specifically the on-board computers or “black boxes” which we refer to as Vehicle Telematics. 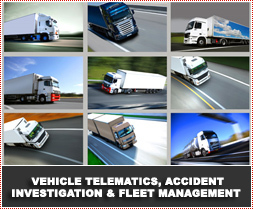 How can Vehicle Telematics assist in Accident Investigation and Reporting? The value of vehicle telelematics solutions can only be understood by reflecting on actual examples provided by the industry leaders in vehicle telematics. With this in mind we consulted with Mark Hill from Digicore/ Ctrack Fleet Management Solutions and would like to share some of these insights on how vehicle telematics can deliver important information in the accident investigation process. Ctrack is well known as an industry leader in driver and driving behaviour measurement in the fleet management industry. Ctrack specialises in the research, design, development, manufacturing, sales and support of technologically advanced GPS/GSM fleet management and vehicle tracking solutions. How does the capturing of information work? We remotely download second by second data – in most cases this will include Engine Rpm. The accident data is triggered by a harsh braking. How can the in-board tracking device / hardware tell you more about the accident? As shown in the report (This is an actual case, where the driver lost his life) – Amount of travel prior to the accident (Distance and Map Replay) – drive style prior to the accident – speeds achieved and maintained – any unauthorised stops (pick- ups), speed in second by second detail prior to and after the accident, any significant braking or lack thereof, during the incident. Which vehicle dynamics are included in the report? Date, Time, Location, Speed, Distance and in most cases Engine Rpm. Can we get an example of such a report? Can this be beneficial to the insurance company? A vital part of my job – although not mentioned anywhere – is to compare the Drivers Statement (If there is one) and the Insurance Claim form and comment on abnormalities as I see them from an independent perspective. Most will vary vastly. Do you also consider the legal consequences when compiling and submitting a report? Where we envisage litigation we normally also send the client an expert summary which also explains additional details, experience of the analyst, product approvals etc, product tolerances and accuracies etc. (Also attached below). This statement is also prepared with senior council input. Which technology enables the experts to perform a detailed accident analysis? The Ctrack unit itself, which records GPS position, vehicle status, speed, etc; and transmits this data periodically, via GSM means, back to the DigiCore Hub and ultimately to the clients C-track software base. The Ctrack wiring harness, which provides power and allows for recording of ignition on / off statuses, etc; connection to the GPS Antenna and Speed Sensor. A road speed sensor, which is a mechanical device calibrated to provide a record of speed and distance. 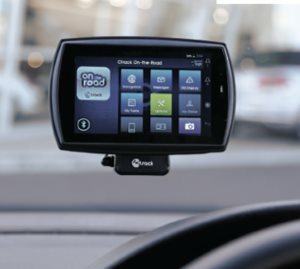 In colloquial terms the system can be described as a combination of a GPS system (eg Garmin), a cellular telephone (for communication purposes) and a vehicle information system (such as that found on formula one motor cars or long distance trucks). Management is a member of the panel convened by the SABS for the purposes of designing such a standard. In the interim, the SABS regards a European certification as a sufficient mark of quality. Annexed hereto below marked “SABS Nov08.Pdf” is a letter addressed to the Editor of the Mercury Newspaper, Durban by the SABS reflecting that the European standard is an appropriate mark of approval. In this regard certification has been received by the Netherlands equivalent of the SABS. Annexed hereto marked “E Cert Solo Nov08.Pdf and E Cert Assist Nov08.Pdf” are copies of the certificates of such approval. Indications of harsh braking or improper acceleration. virtual odometer – better than 5% variance from actual. Effective control over costs such as insurance premiums, fuel bills and repair costs. Ability to make informed decisions about purchasing vehicles and training drivers. Reduced likelihood of an employee being involved in an accident. Reduced running costs with employees driving more professionally and efficiently. The benefits of advances in technology and vehicle telematics are no longer limited to the fleet management, logistics and heavy vehicle industry. This is also now used with increased efficiency in the passenger vehicle market where it has significant benefits for the car insurance industry. 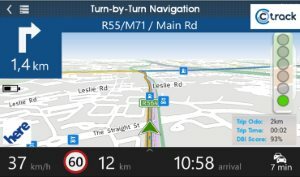 Discovery has recently launched Discovery Insure and emphasized the importance of the technology referred to as the DQ-track system to measure driving behaviour. The DQ-track system is to be installed in all vehicles insured by Discovery. A basic set of the algorithms will interpret vehicle telematics data such as how people corner, how they brake, about the G-forces they expose the car to etcetera. The DQ-track system will have all the necessary tracking abilities and will also provide accident notification. Discovery has partnered with telematics specialists Ctrack to benefit from the best possible vehicle telematics solutions. This partnership will provide the newest hardware, back office and online tools for driver measurement and driver ratings. Installation of these units and inspections are to be performed at Ctrack fitment centres and by Ctrack Mobile Technicians nationwide. Vehicle Telematics are not only able to provide important information on the driver and vehicle behaviour that might have caused the accident, but can also make a significant contribution towards improved driving. The application of vehicle telematics technology in the car insurance industry is able to address both financial and safety concerns. By rewarding drivers for safe driving behaviour with reduced car insurance premiums, the technology is able to promote safer driving, reduce accidents and increase road safety! 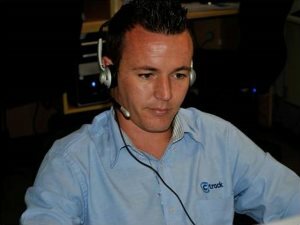 Expert Summary June 2009 Accident Report 3 Feb 2010 Ctrack Usage Report Electronic Certificate Digicore Technology (Pty) Ltd.